Caribbean Coconut Rum and Pineapple Cocktail. Cocktail recipes not only taste great, they can also set a mood for your party. Feeling like a trip to the tropics, cocktail style? Try this super delicious drink. I was turned on to this coconut rum drink by my husband’s business partner. Whenever we went out to eat, she would always order it and I started drinking Caribbean coconut rum and pineapple with her when we went out. 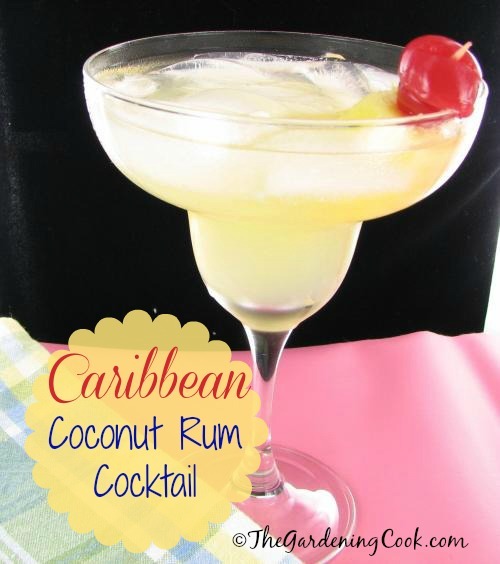 Caribbean Coconut Rum Mixes with Pineapple to make a Taste Sensation. This drink soon became one of my favorites. A good friend of mine drinks these all the time and shared her recipe with me one day when we were having a barbecue together. It is the perfect thirst quencher for a warm summer night. Sit on your deck and you might even think you are in the Caribbean. The drink is simple to do and so delicious! Pineapple juice makes the perfect pairing with the coconut rum. For more great cocktails, please visit the Cocktail hour on Pinterest. Put ice cubes in a margarita glass. 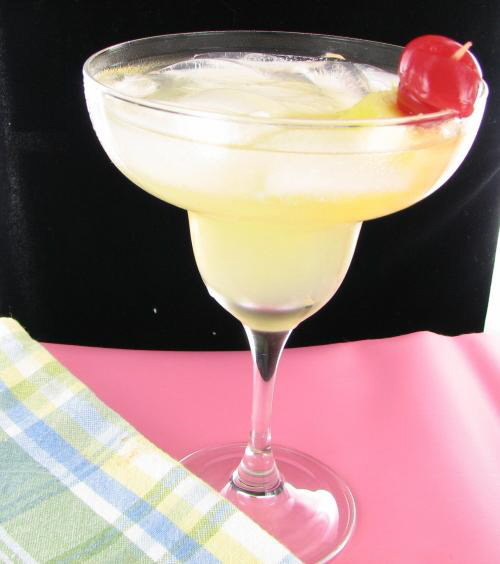 Add the Coconut rum and pineapple juice and garnish with a chunk of fresh pineapple and a maraschino cherry.